This laboratory manual provides cutting-edge methods for generating and characterizing mouse models that accurately recapitulate many features of human cancer. The contributors describe strategies for producing genetic models, including transgenic germline models, gene knockouts and knockins, and conditional and inducible systems, as well as models derived using transposon-based insertional mutagenesis, RNA interference, viral-mediated gene delivery, and chemical carcinogens. Tissue recombination, organ reconstitution, and transplantation methods to develop chimeric, allograft, and xenograft models are covered. Approaches to characterize tumor development, progression, and metastasis in these models using state-of-the-art imaging, histopathological, surgical, and other techniques are also included. 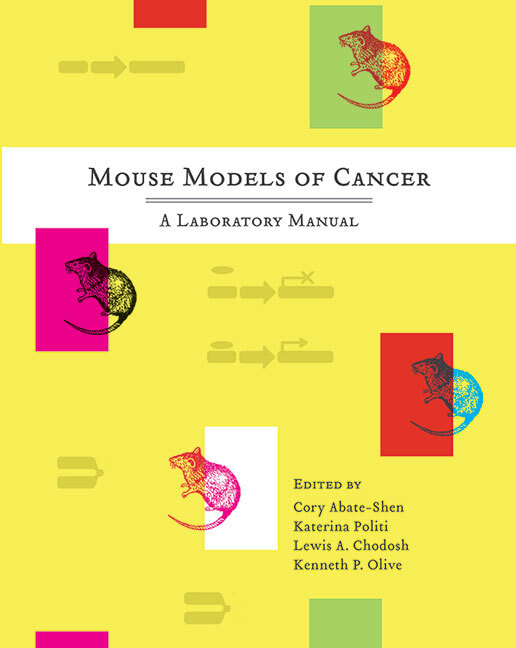 Other chapters cover the use of mouse models to test and optimize drugs in pre-, co-, and post-clinical trials. An appendix specifically addresses the use of mouse cancer models in translational studies and the integration of mouse and human clinical investigations. This manual is therefore an indispensable laboratory resource for all researchers, from the graduate level upwards, who study cancer and its treatment. The Effects of Genetic Background of Mouse Models of Cancer: Friend or Foe?